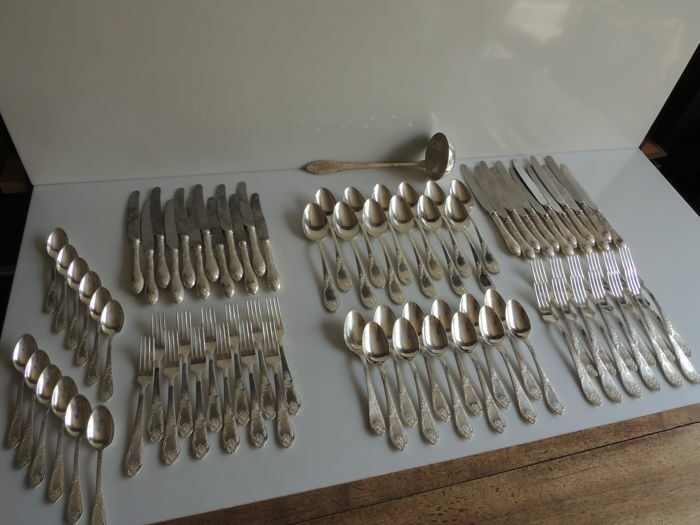 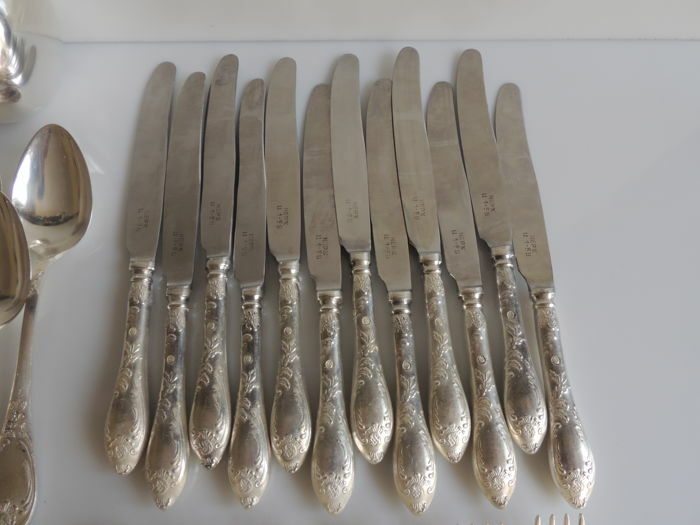 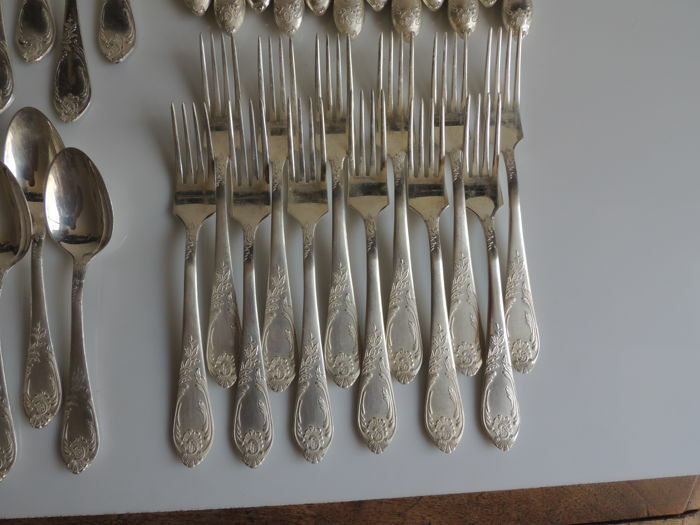 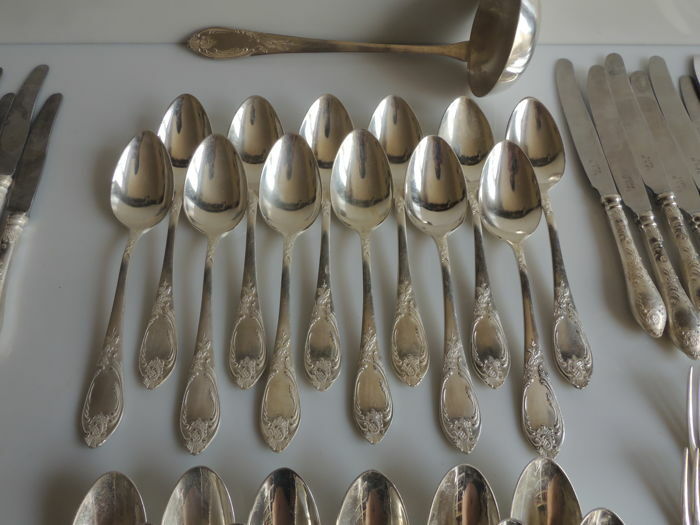 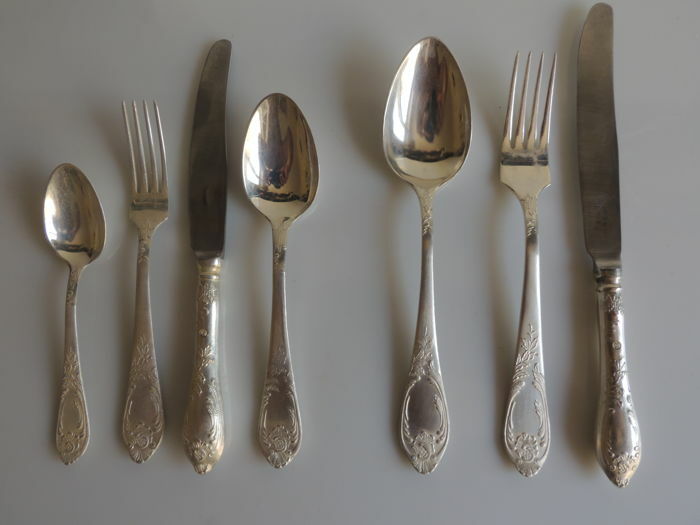 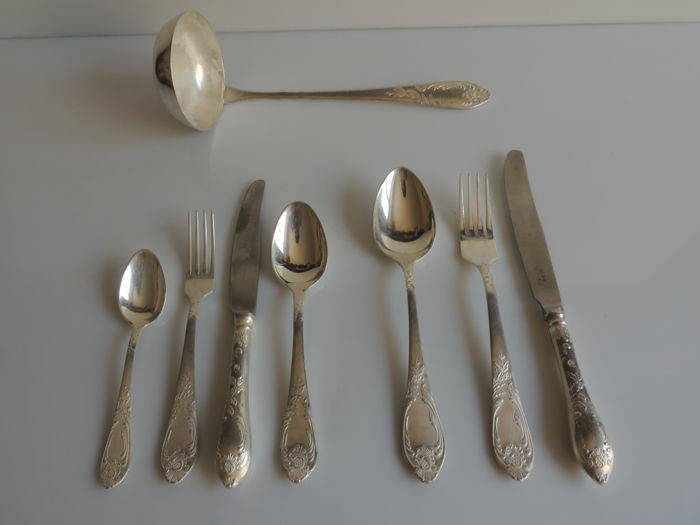 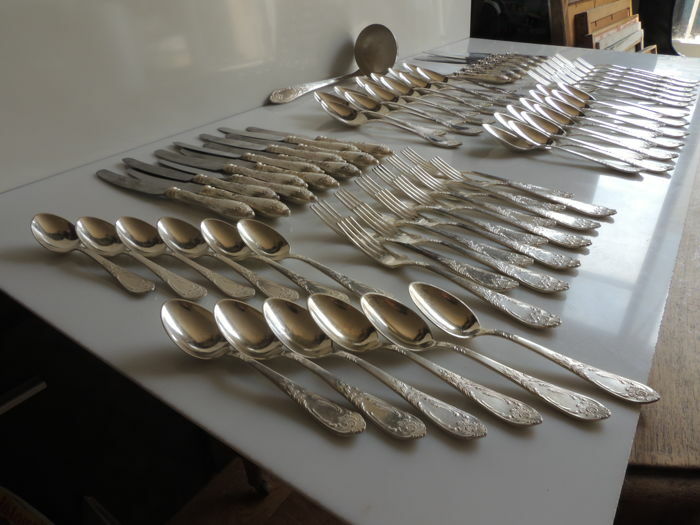 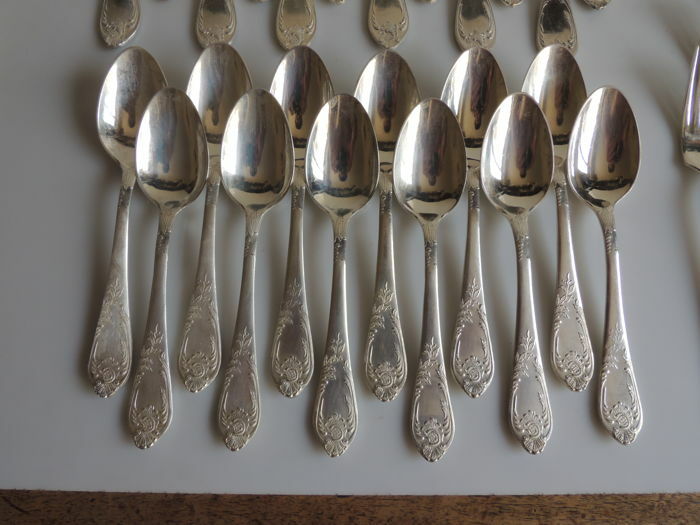 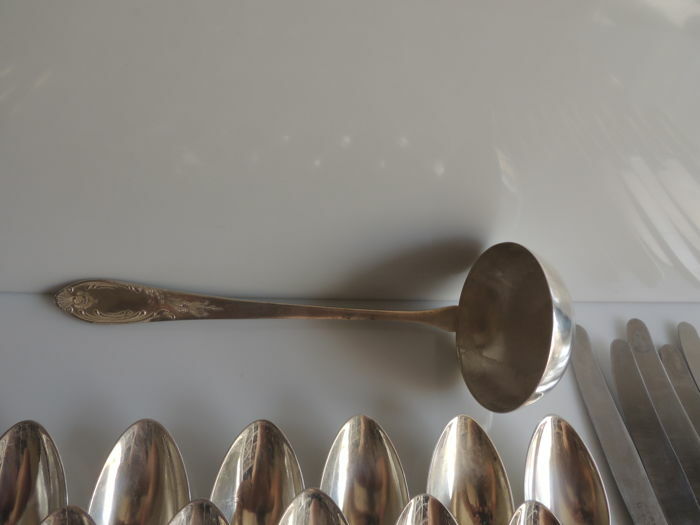 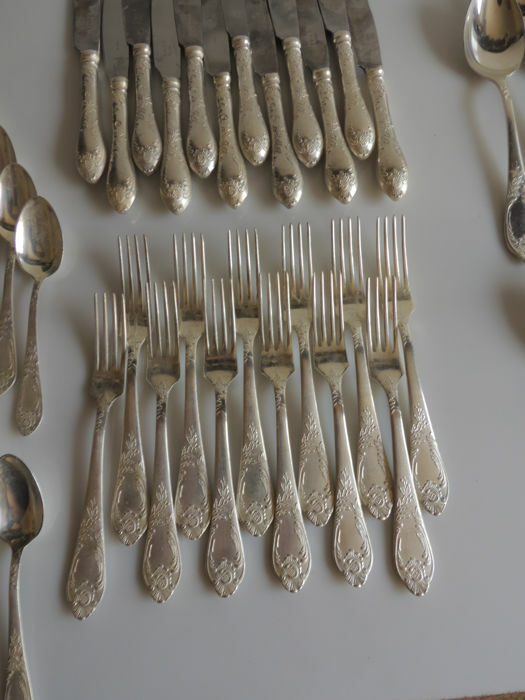 Complete 84-piece silverware set, plus 1 serving ladle, stylized Rococo decorations. 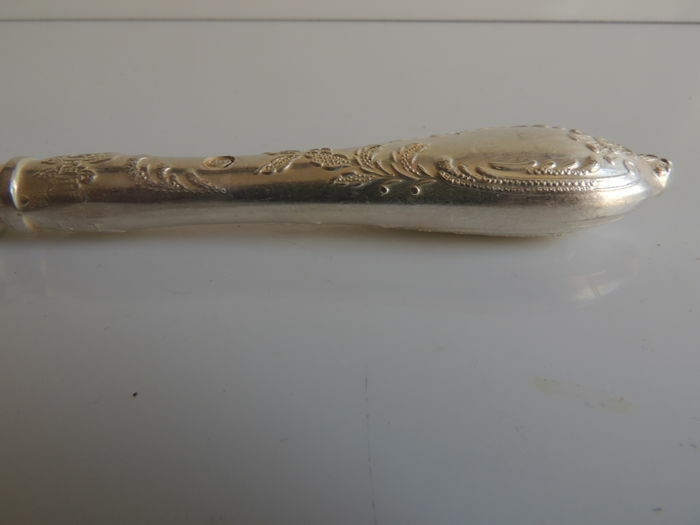 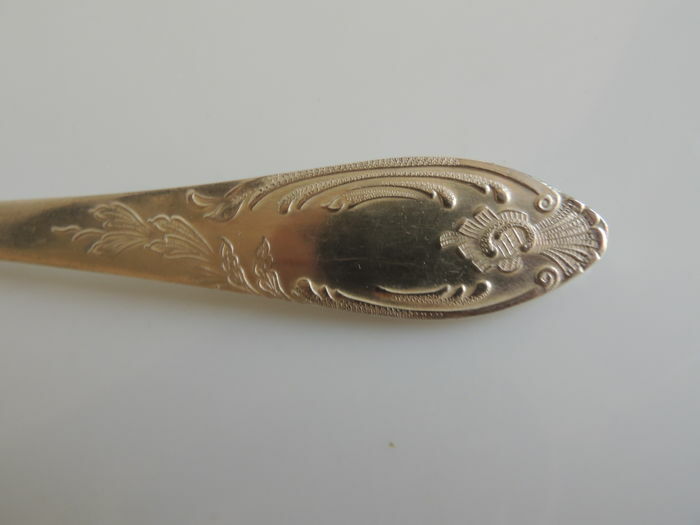 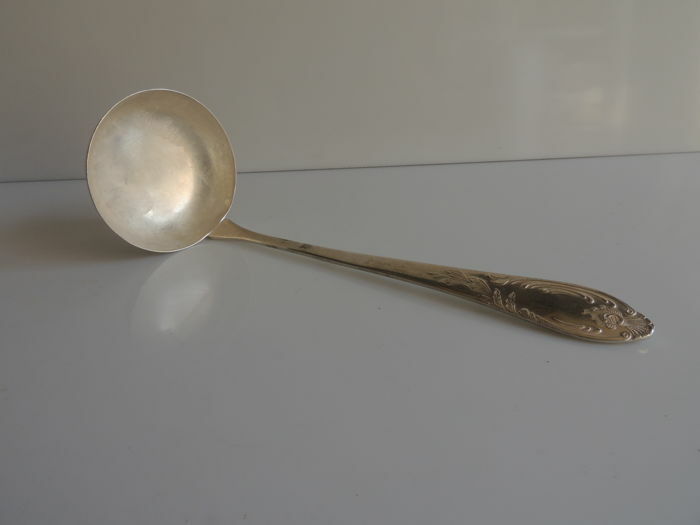 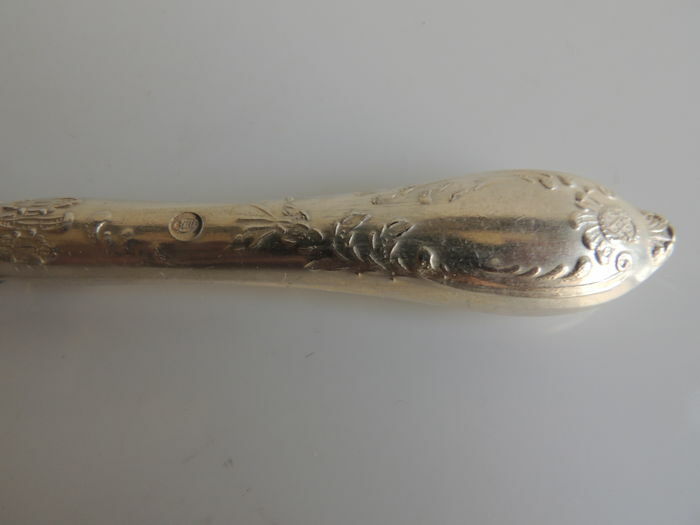 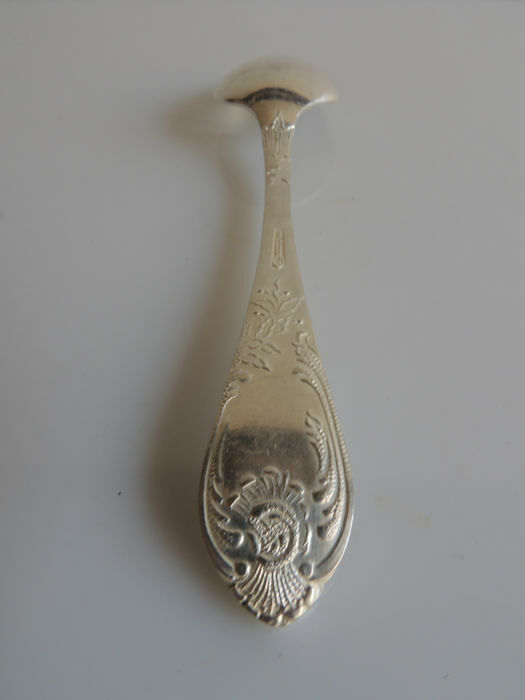 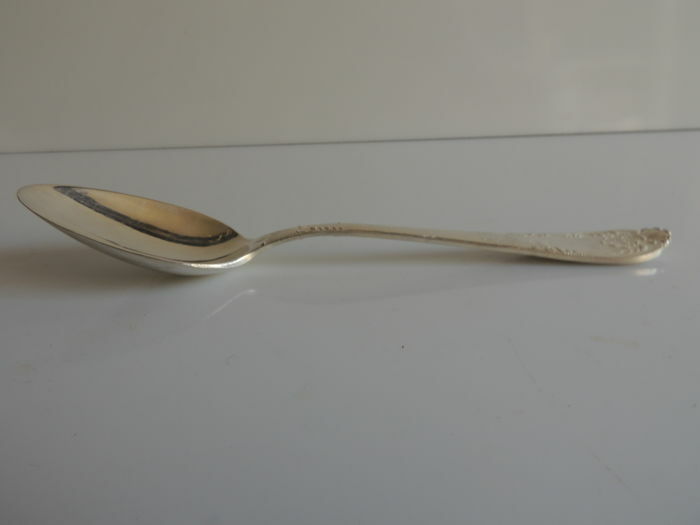 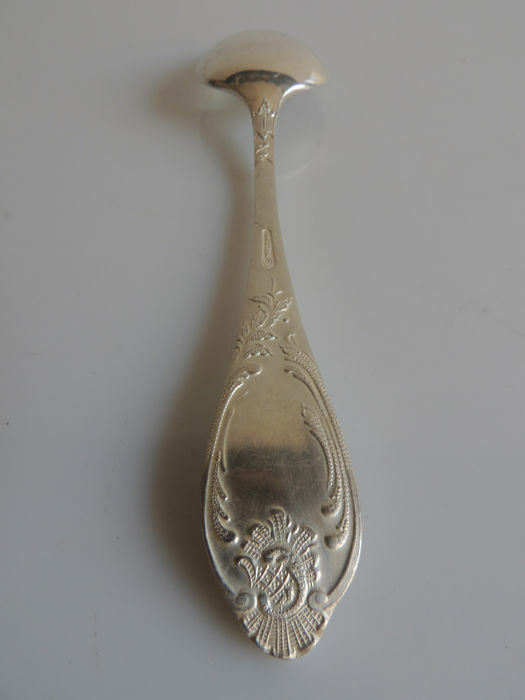 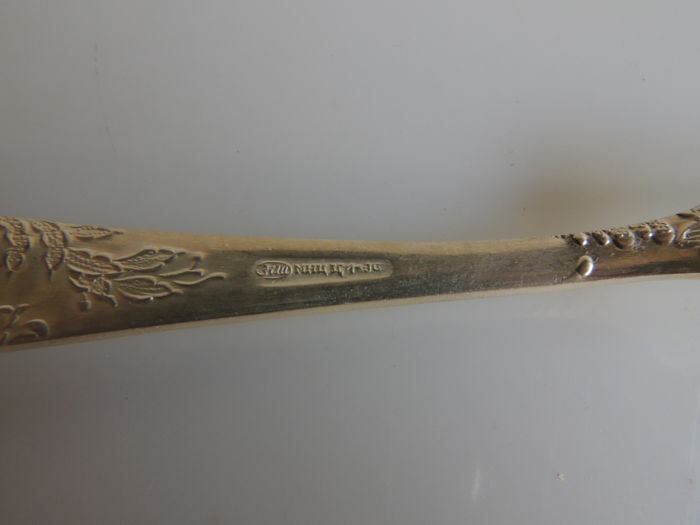 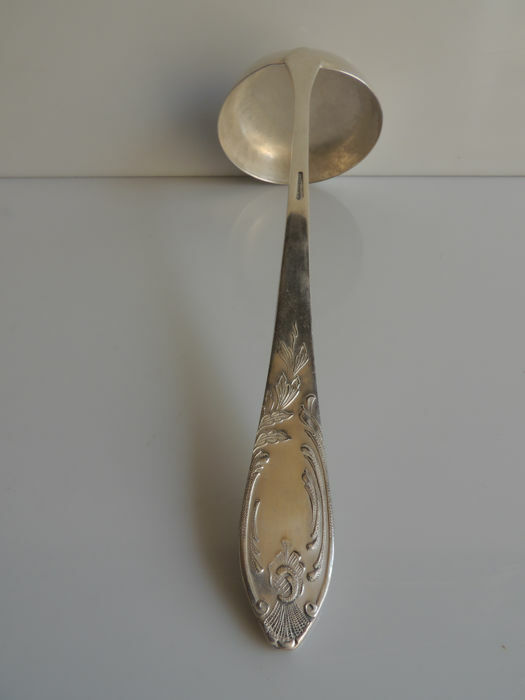 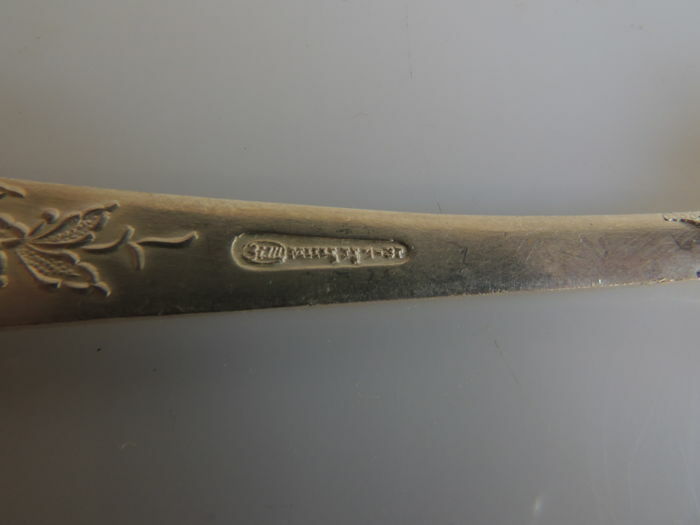 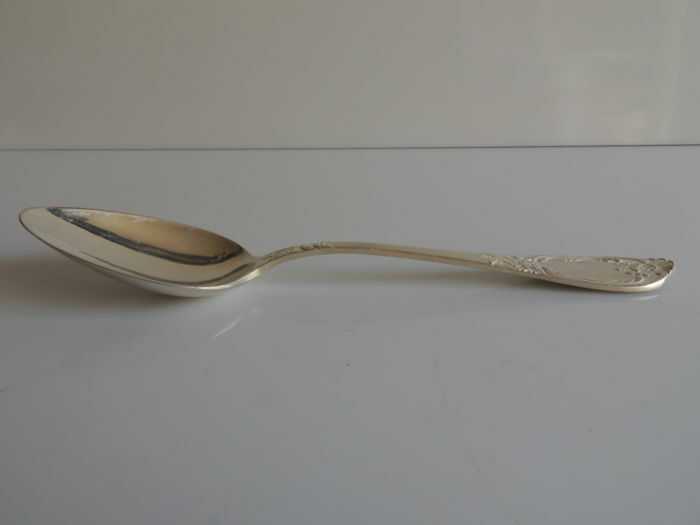 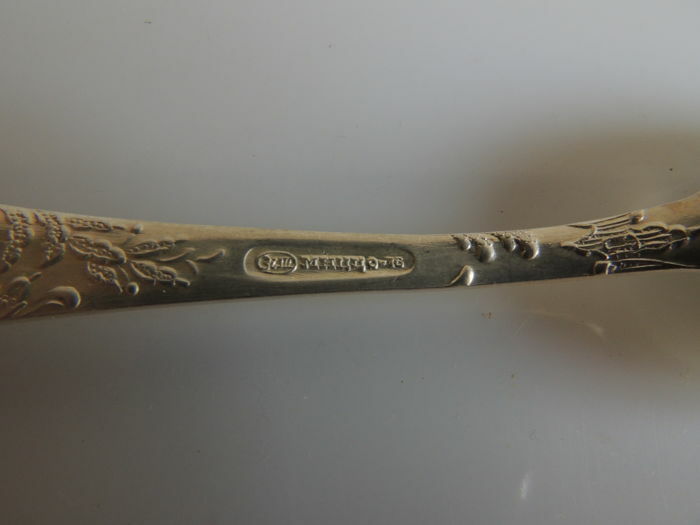 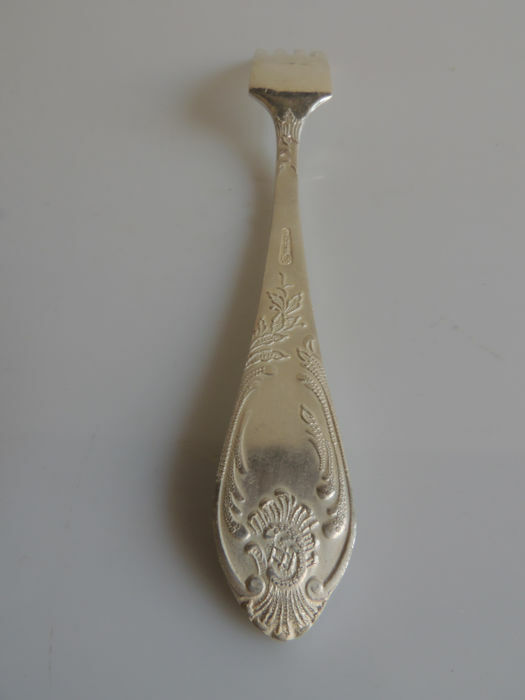 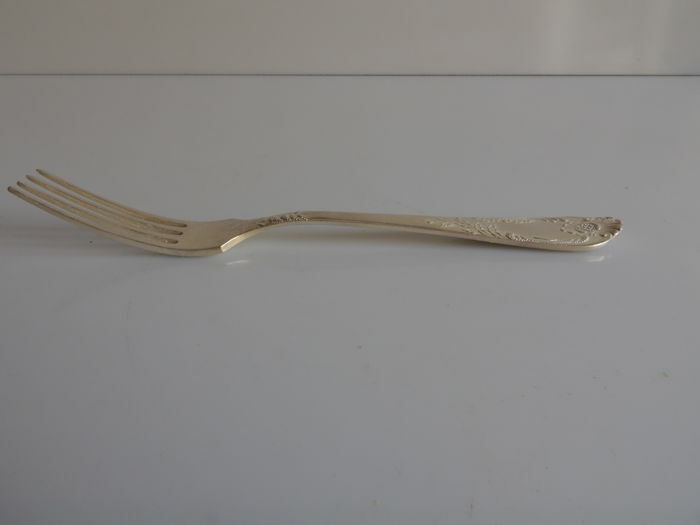 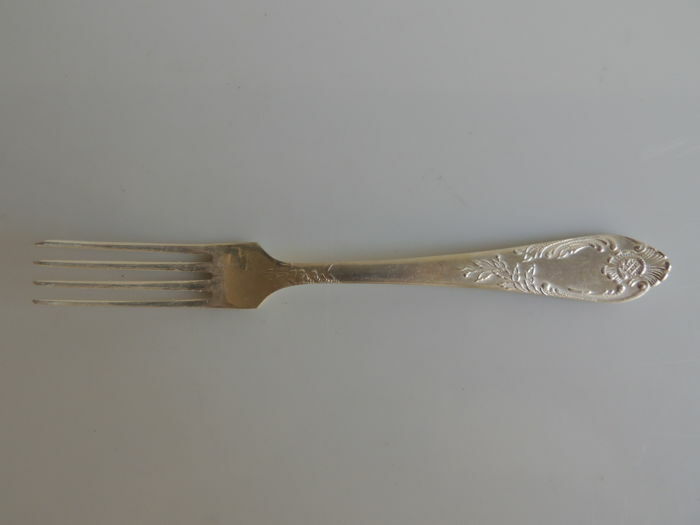 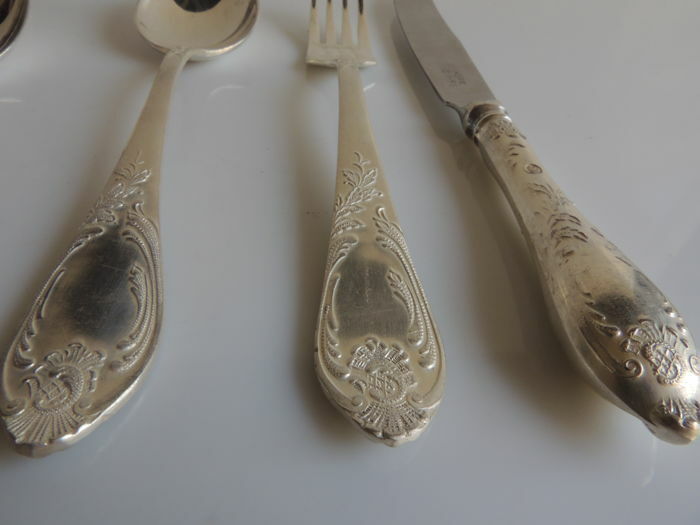 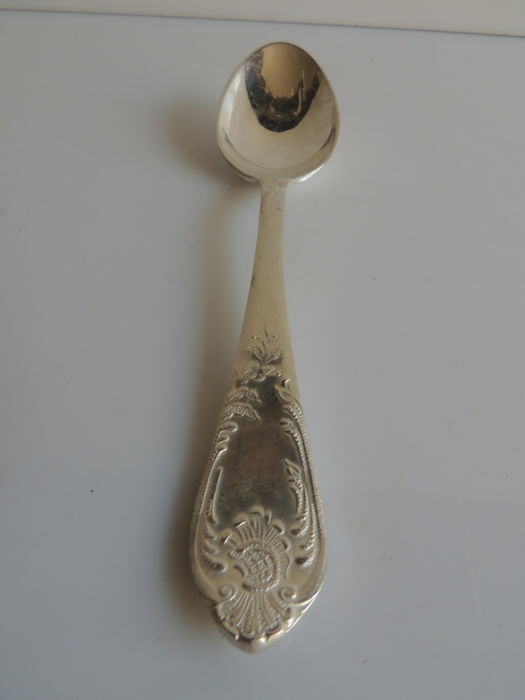 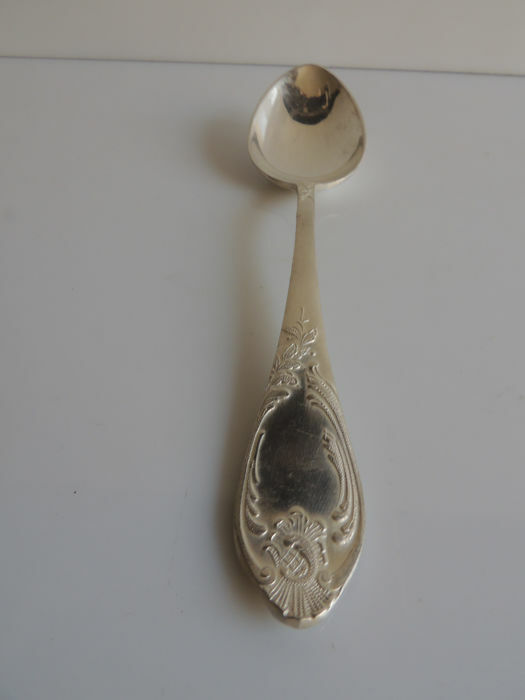 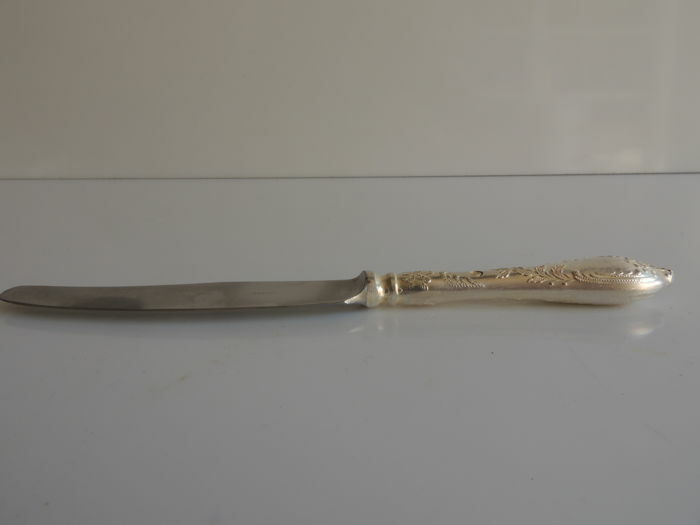 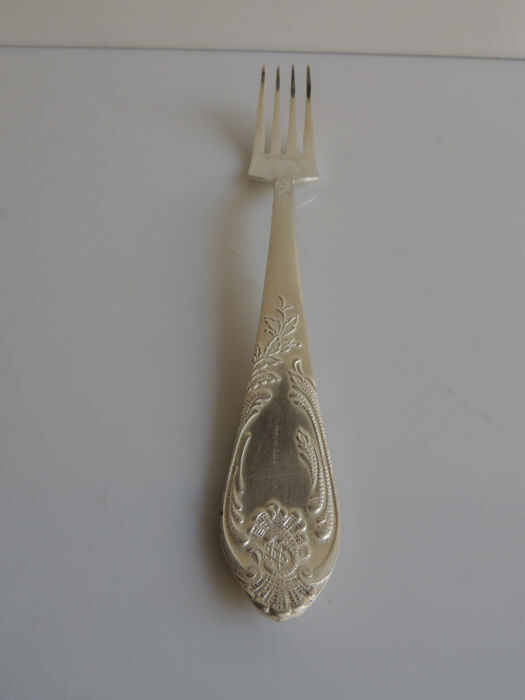 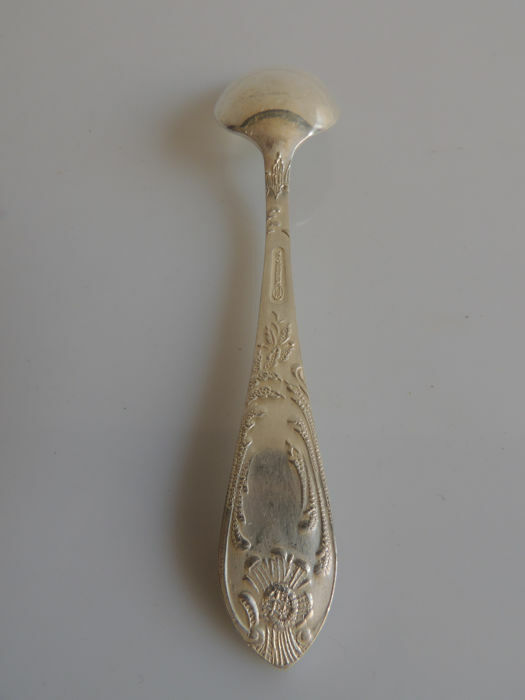 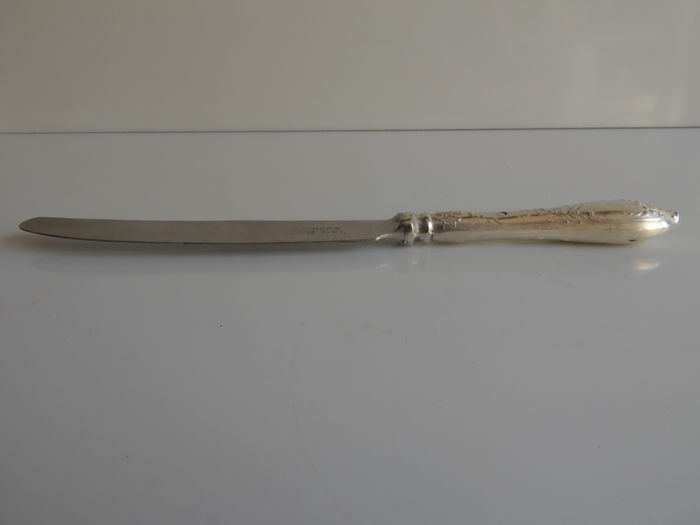 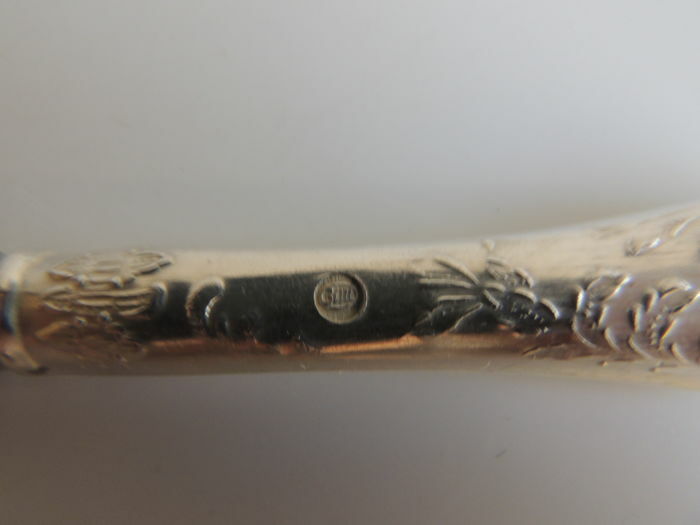 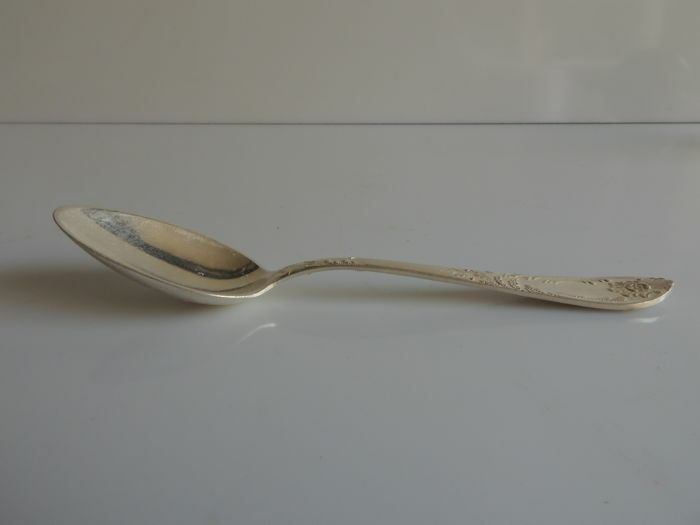 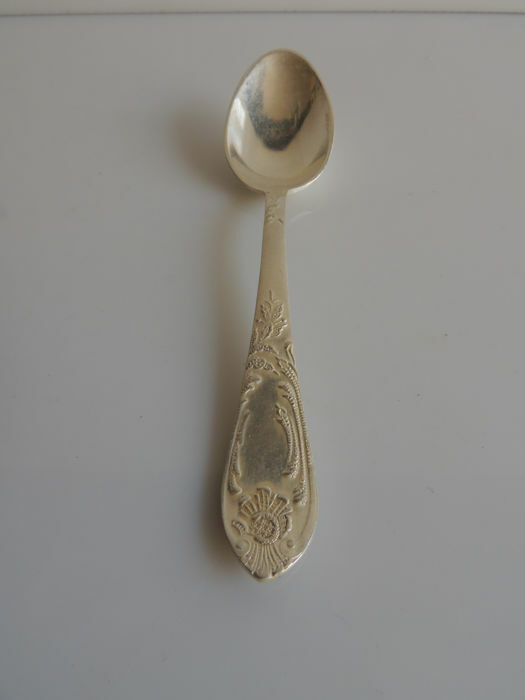 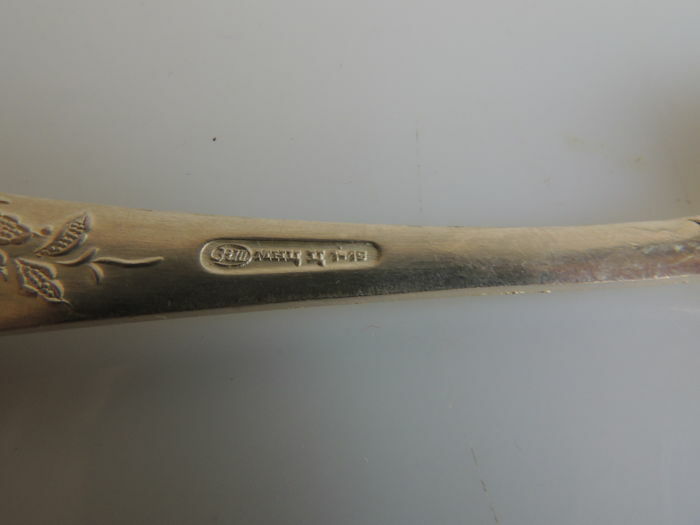 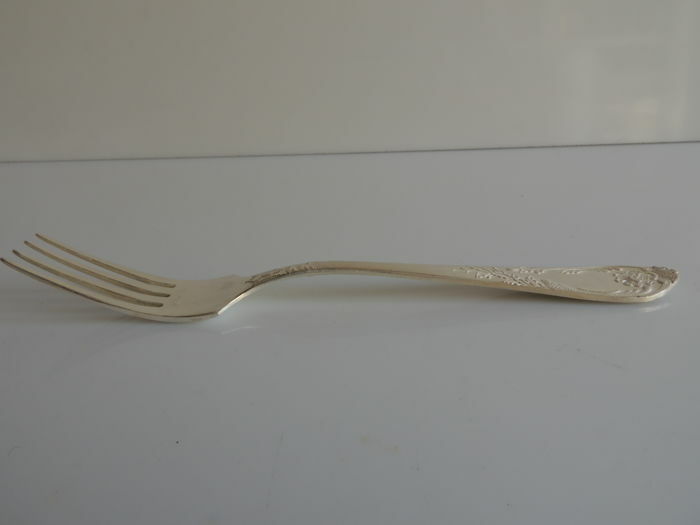 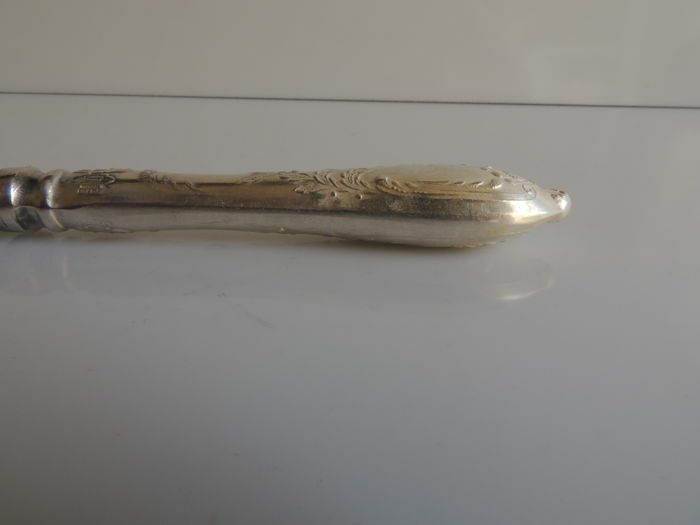 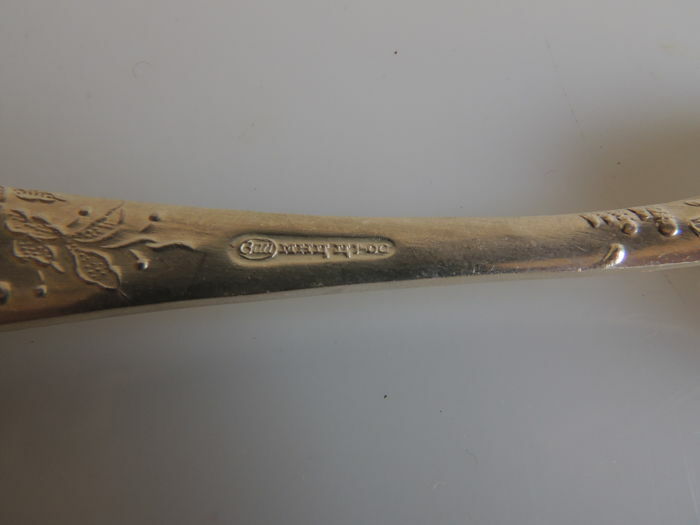 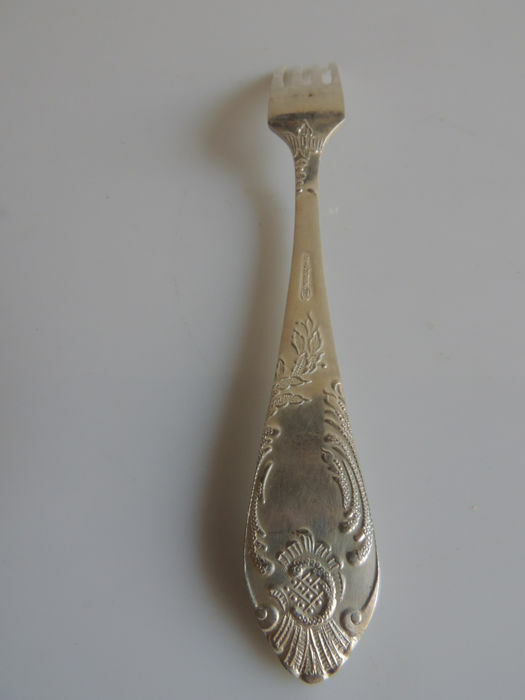 Russian metalwork from circa 1970, high quality silver plated metal. 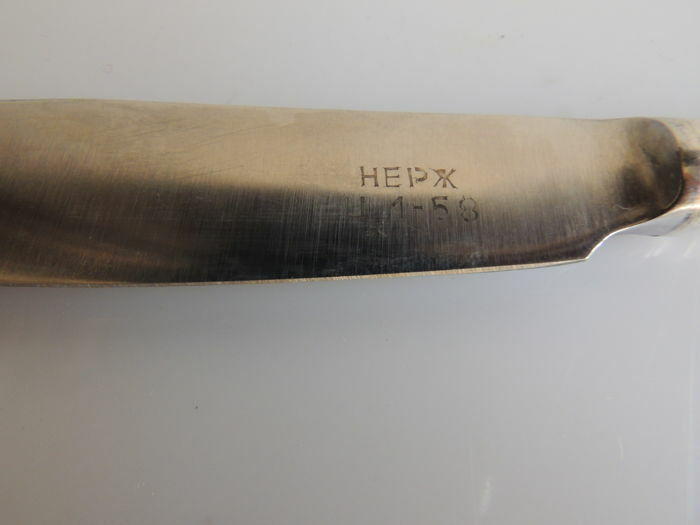 Knives have solid handles. 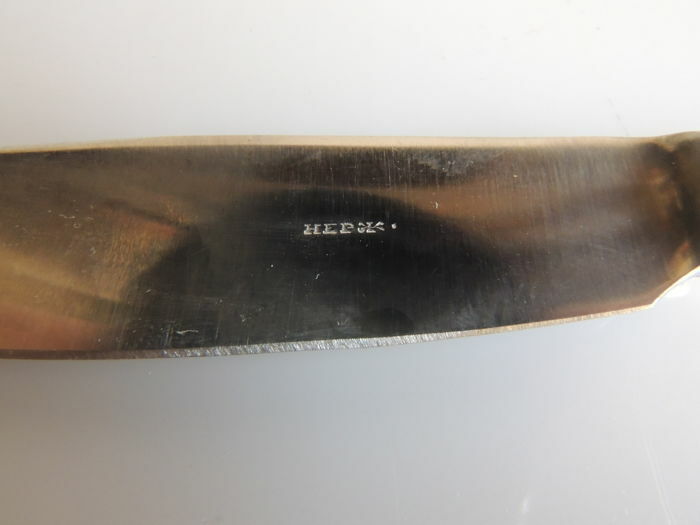 Stainless steel blades. 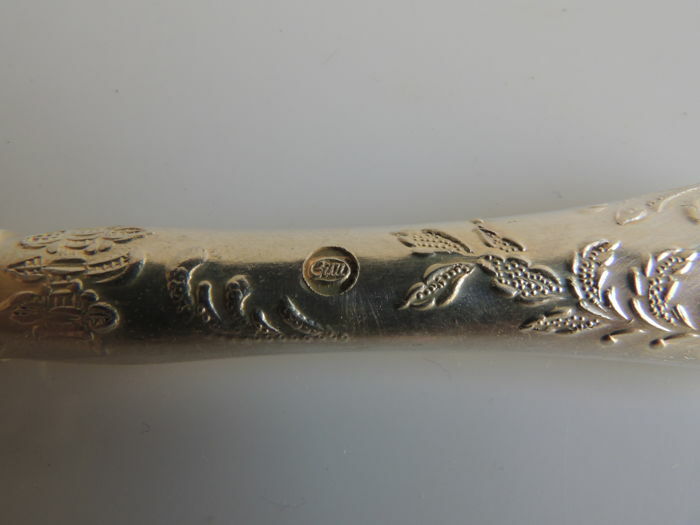 Brand: “MHU TEP”, all items in the set are hallmarked. 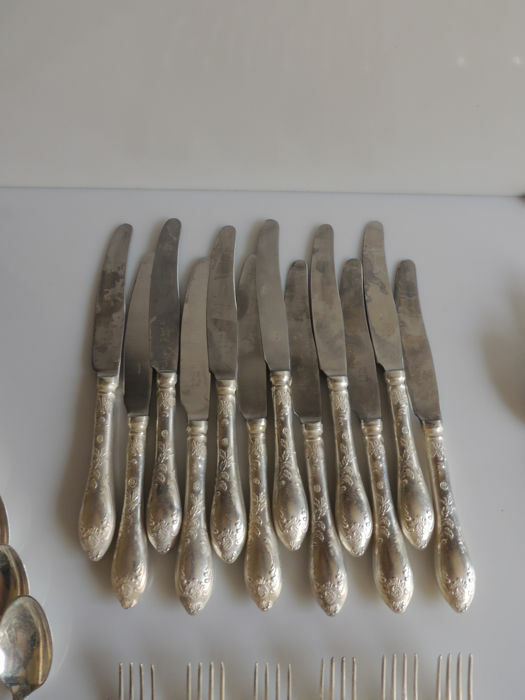 7 assorted 12 piece models. 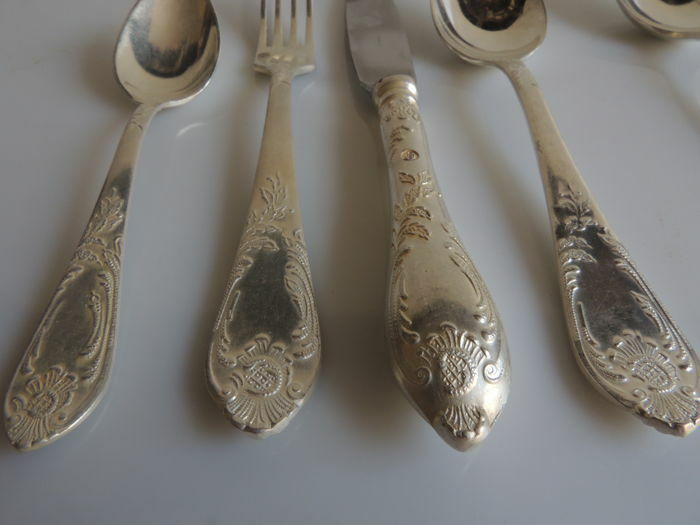 All in good condition, few traces of use. 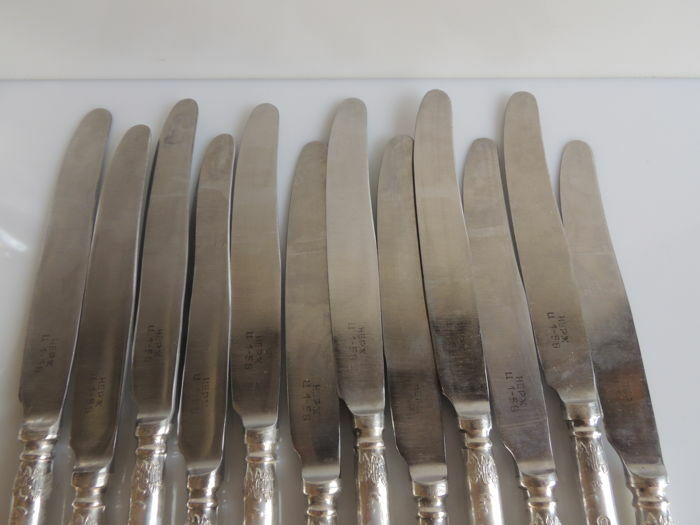 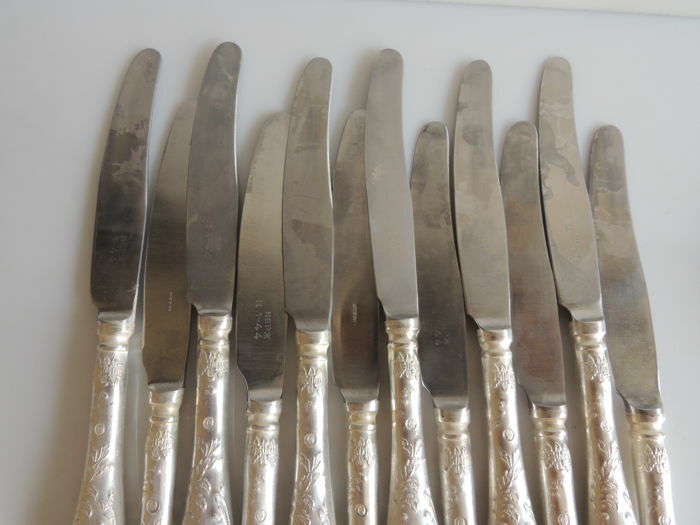 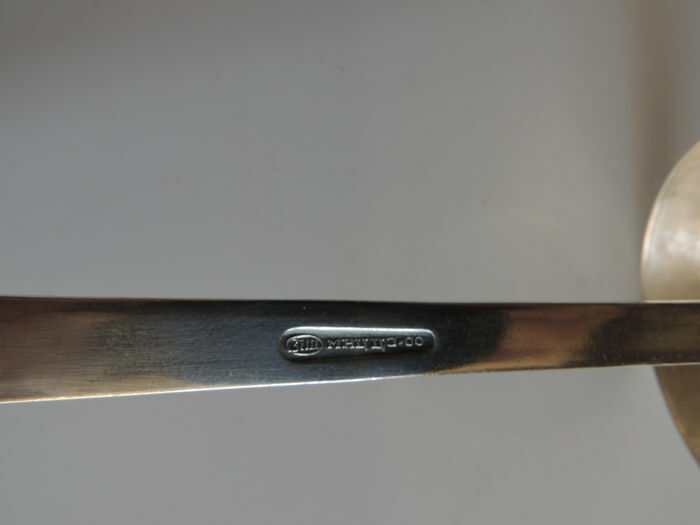 Note that the smaller knives have some tarnishing on the blades. 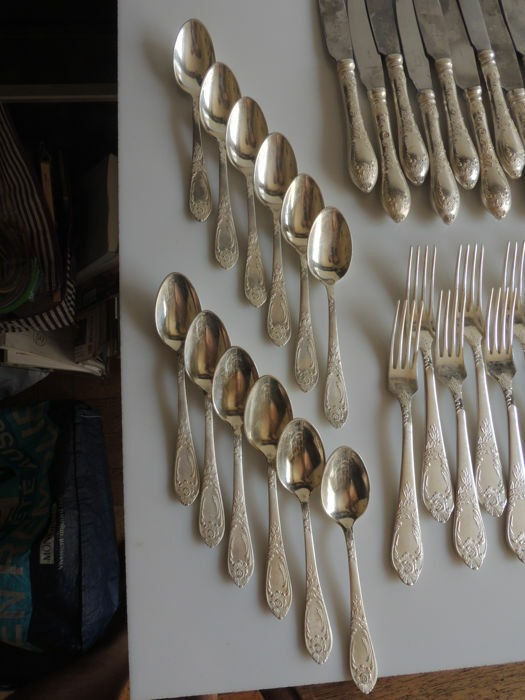 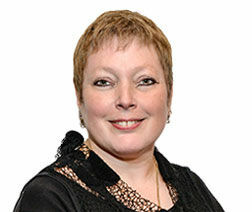 Sie können diesen Artikel auch beim Verkäufer abholen: Nice (France ), Frankreich.